Explore 3 Four Seasons Windows reviews from our editors and past customers who have worked with one of the franchises through which Four Seasons Solar sells their vinyl windows. Four Seasons Sunrooms And Windows specializes in residential sunrooms, conservatories, Hampton and Loggia rooms. However, the company also manufactures and installs vinyl replacement windows and patio doors. The company is headquartered in Holbrook, New York, but has locally owned dealers and sales teams throughout the United States. The company works through a large network of independently owned dealers and distributors that carry the Four Seasons vinyl windows. This is a franchised company, meaning that your local dealer is most likely an independent contractor who installs the Four Seasons vinyl windows and doors, but operates under their own license. The company sells their own vinyl windows that are a fairly mid grade vinyl window. They offer some nice options, finishes and upgrades that will obviously add to the per window replacement cost. The are set up similarly to a company like Renewal By Andersen. 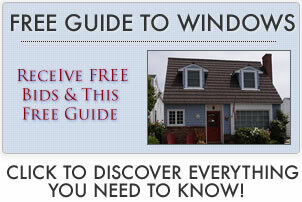 See our Renewal By Andersen windows reviews for additional information. The company is actually owned by Ultraframe PLC, which is a publicly traded company in the UK that specializes in glazing and roofing systems. In terms of Four Seasons complaints, there are a lot out there and some are downright bad. This could be because satisfied customers don’t post reviews as often as unsatisfied customers. The more plausible explanation is that some of the Four Season franchises are run by contractors who aren’t as solid as others. Renovation projects rarely happen without some issues and scheduling problems. We urge consumers to choose your contractors carefully, especially with projects like Sunroom additions that involve serious construction, permitting and installation issues. One thing we have heard and don’t love is that Four Seasons requires anyone making decisions in the household to be present during the estimate or “presentation.” This often indicates a more aggressive sales tactic that is, in our opinion, not in the best interest of the consumer. It is also fairly common with franchises, but is not always pleasant for the customer. Consumers need to understand that you are hiring the local contractor to do the Sunroom addition or the replacement window installation, instead of an actual window company with their own team of certified installers. Some franchises are probably very good, while others are not going to offer the level of professionalism and service that consumers may be expecting. I purchased a Four Seasons sunroom back in 2008 and it came with a five-year guarantee and cost something in the neighborhood of $20,000. This included lots of upgrades such as triple pane glass and gluelam beams. For the first seven years, the sunroom has performed perfectly. This winter, however, I found condensation in between the window panes, which I’m pretty sure means that the seals have failed. I called Four Seasons to talk to someone about the problem and they told me that the warranty on the insulated glass was expired and that to repair or replace the windows would be an additional $8000. I feel like the warranty was a very flimsy and should at least cover the insulated glass for a 20 year period. I just sat through a long Four Seasons presentation from the area dealer and I feel like the windows were just kind of okay in terms of their quality. I have had estimates from two other companies, including Sunrise and a Simonton guy and I felt like both of these companies offered a better quality window then what Four Seasons was selling. However, the price of the project was equal and what Four Seasons and Sunrise were bidding out at. The Simonton 5300 Series was slightly lower maybe $600 for 15 windows. I’m not saying that the Four Seasons vinyl window was bad by any means, just seemed overpriced for what it was. Four Seasons Solar Products are listed in the nfrc.org website and here are the window ratings that we found. The Four Seasons ES4000 double hung windows with LoE 270 glass and argon fills achieved a 0.30 U-factor, 0.29 SHGC and 0.55 VT. The ES6000/7000 tilt slider window with the LoE 366 glass and foam filled vinyl extrusion acheived a 0.19 U-factor, 0.17 SGHC and 0.39 VT. The .19 U-factor is very impressive as far as we are concerned.